This article was posted by ARANews on 15 March 2017. The U.N. Independent International Commission of Inquiry on the Syrian Arab Republic released a new report that refused allegations by Amnesty International and Turkey that the Kurds have been involved in ethnic cleansing in northern Syria. “Though allegations of ‘ethnic cleansing’ continued to be received during the period under review, the Commission found no evidence to substantiate claims that YPG [Kurdish People’s Protection Units] or SDF [Syrian Democratic Forces] ever targeted Arab communities on the basis of ethnicity, nor that YPG cantonal authorities systematically sought to change the demographic composition of territories under their control through the commission of violations directed against any particular ethnic group,” the UN said. “Our latest @UNCoISyria report finds temporary displacements carried out by SDF or YPG in northern Syria were done with military necessity,” the UN Syria Commission said. “Across northern Syria, SDF or YPG forces displaced communities in order to clear areas mined by ISIS during their withdrawal,” the UN report said. Syrian Kurdish officials see the UN report as a proof that the earlier allegations by Amnesty International and Turkey were wrong and politicized. The Turkish government kept accusing the Kurds of ethnic cleansing against Arabs. “If they keep their word, they have guaranteed us because the YPG/PYD conduct ethnic cleansing wherever they go,” Turkish Foreign Minister Mevlüt Çavuşoğlu said on June 7 2016. 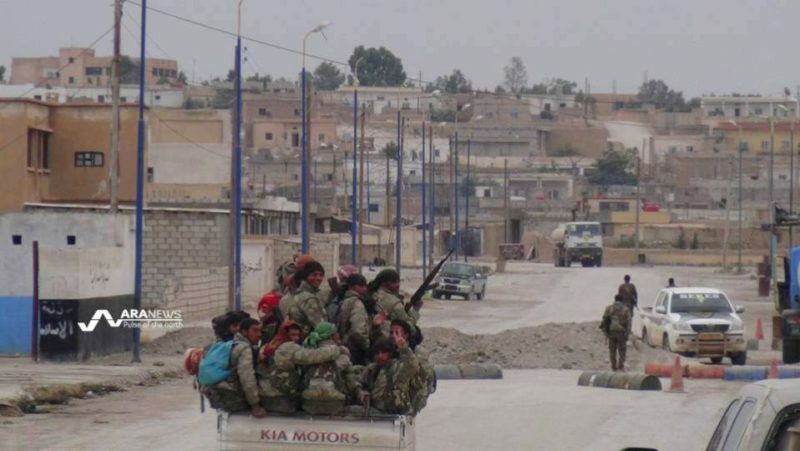 However, Kurdish officials have repeatedly denied these allegations as propaganda and pointed out that Turkey and Turkish-affiliated rebels have been involved in displacing Kurdish civilians in Northern Aleppo.